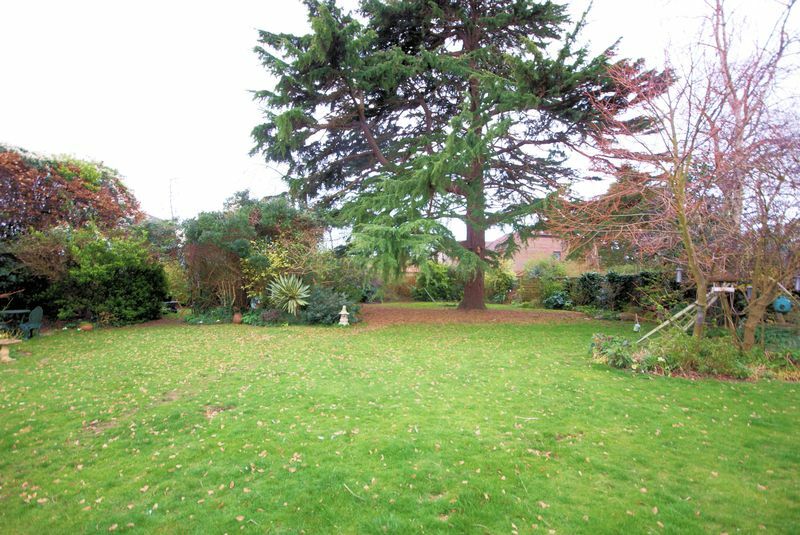 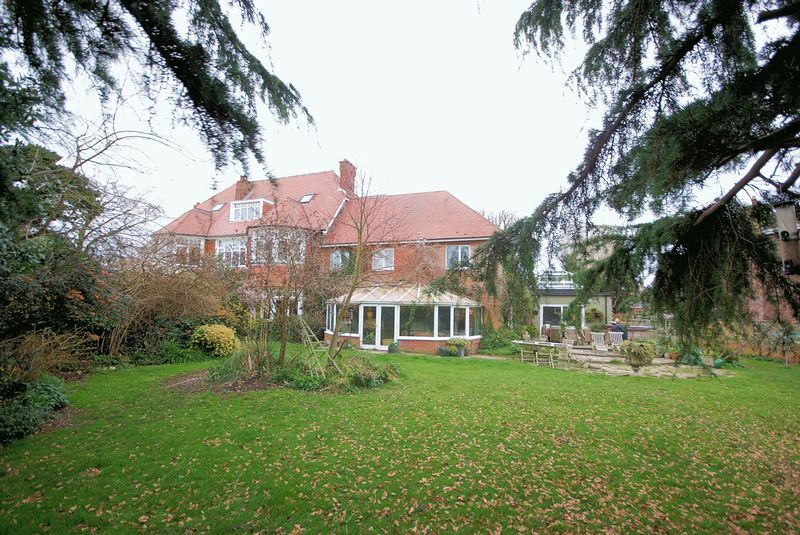 Enjoying a secluded location in Alverstoke is this truly enchanting and substantial family home set within a large established plot. 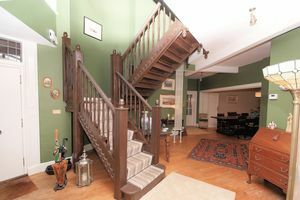 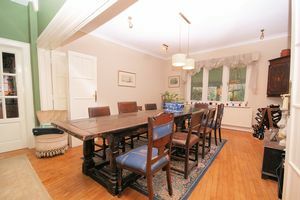 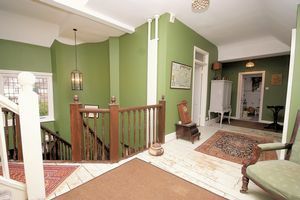 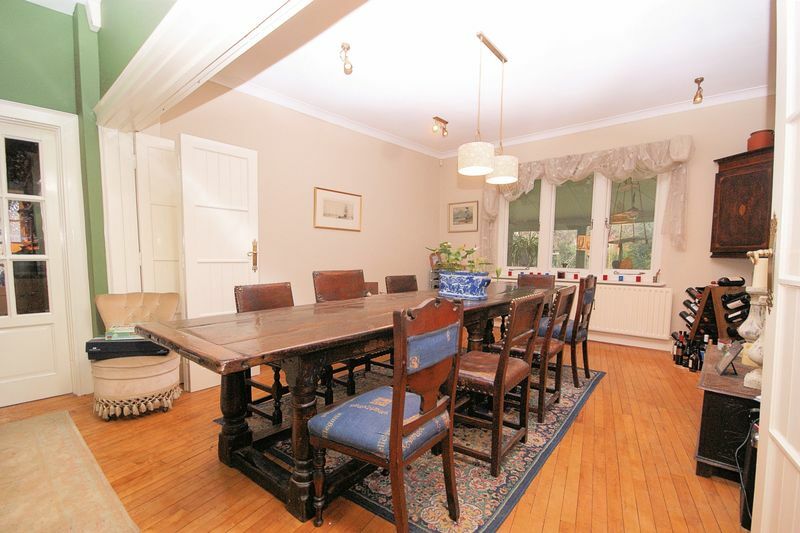 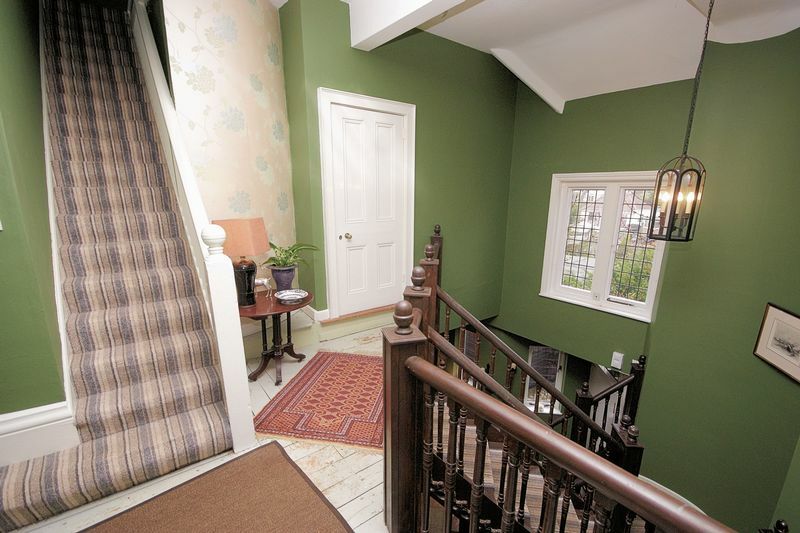 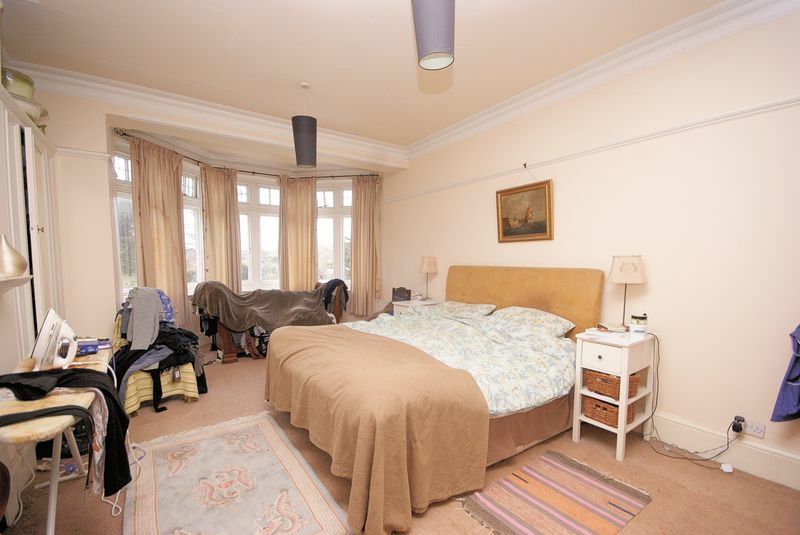 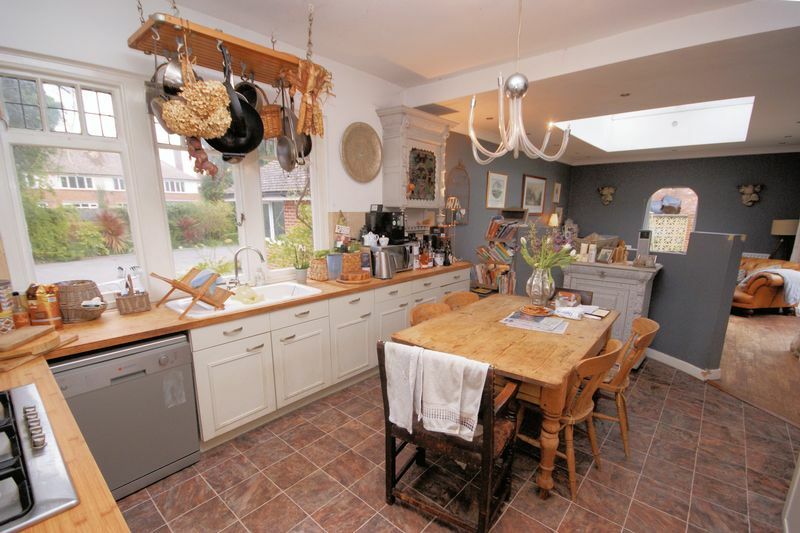 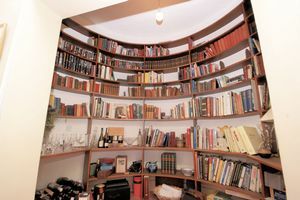 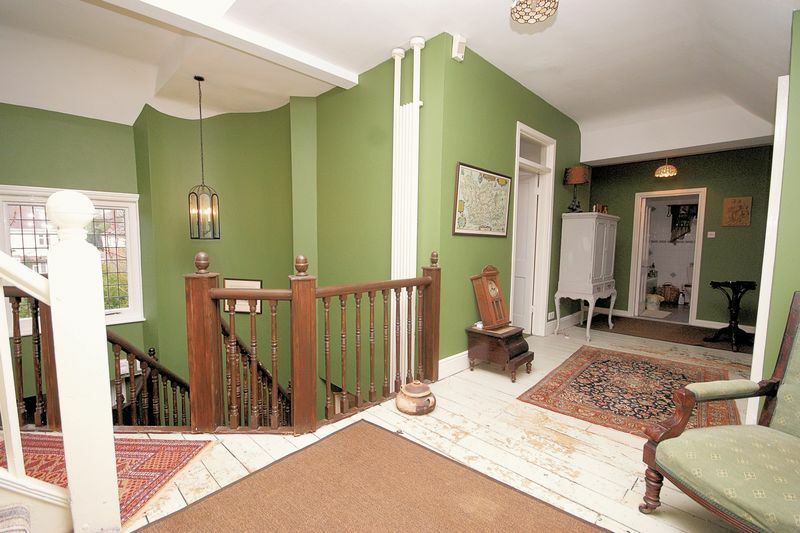 The property boasts seven bedrooms arranged over two floors, ample living accommodation, parking and double garage. 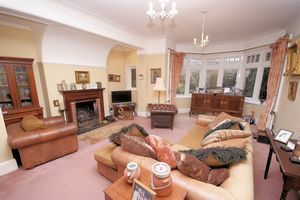 An internal viewing comes highly recommended to fully appreciate what this property has to offer. A large impressive room with wooden flooring, feature staircase to first floor accommodation with galleried landing, windows to side elevation, bi-folding wooden doors to dining room. Close coupled W.C, wash hand basin set in vanity unit, window, radiator. 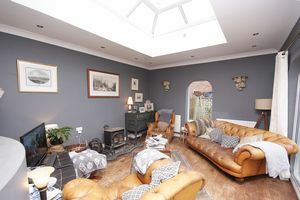 An imposing room with coved ceilings, deep bay window overlooking rear garden, open fireplace in decorative surround, radiator, archway to library area. 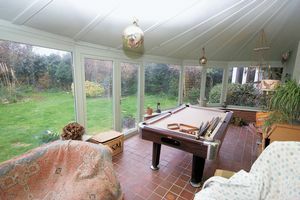 With bi-folding doors, this room can either be open to the reception hall or closed off if required, with exposed original floorboards, window to rear elevation, radiator. Laminate flooring, bay window to side aspect, French style doors leading to the conservatory, radiator, in-built shelving. 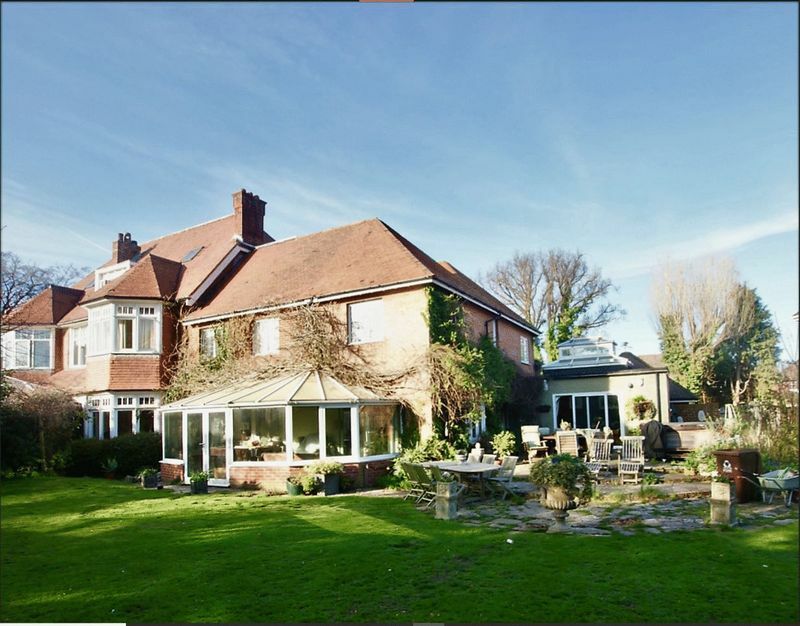 Quarry tiled flooring, double glazed French style doors and windows overlooking and to the extensive rear garden. Fitted with a range of base cupboards and eye level units with solid wood worktops, integrated oven, five ring gas hob with extractor hood over, ceramic one and a half bowl sink unit with drainer, window to front elevation, space for table and chairs, open to family room and door to utility room. With a wooden floor, UPVC double glazed patio doors leading onto rear garden, window to side elevation, roof lantern providing direct natural light, inset spot lighting, log burning stove, two radiators. 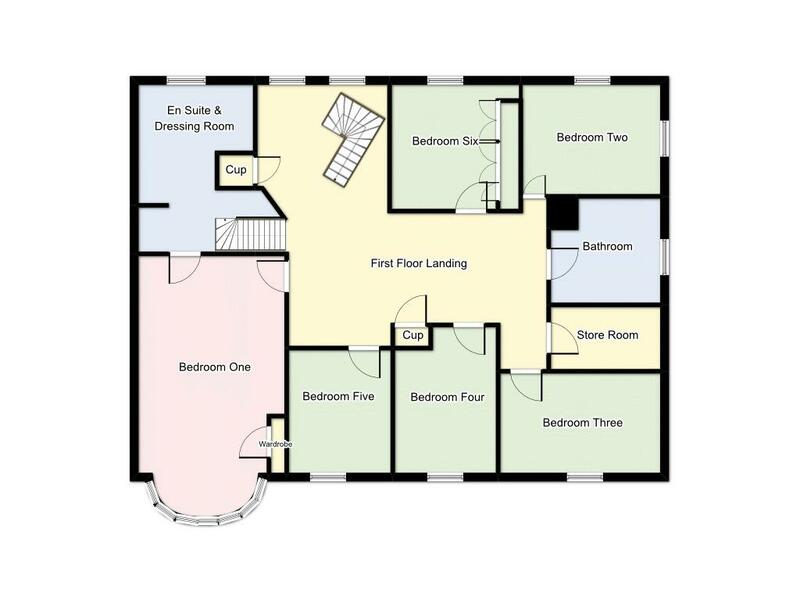 With a range of wall and base units with stainless steel sink, wall mounted Vaillant combination boiler, plumbing for washing machine and door to outside. 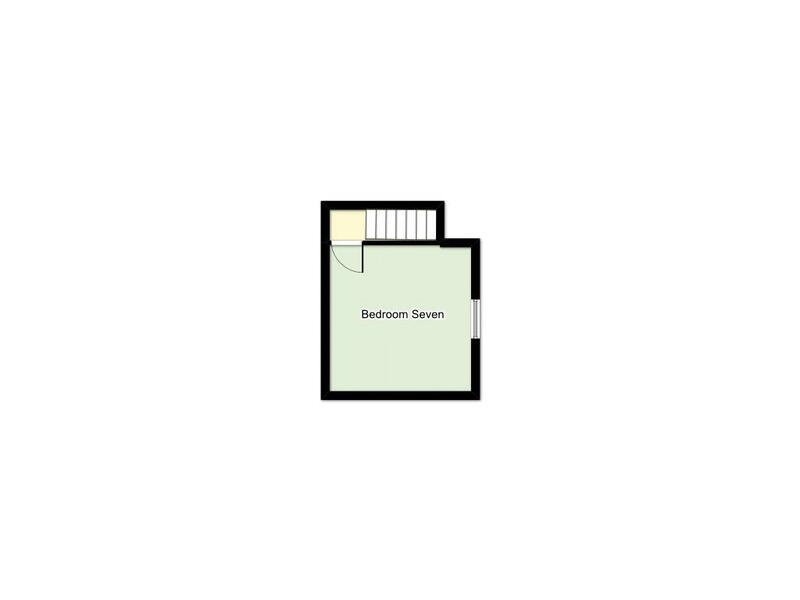 Exposed floorboards, walk-in store, further storage cupboards and airing cupboard housing hot water tank, stairs to second floor. 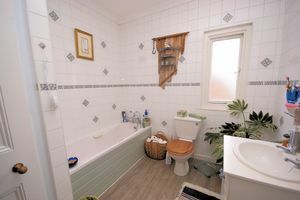 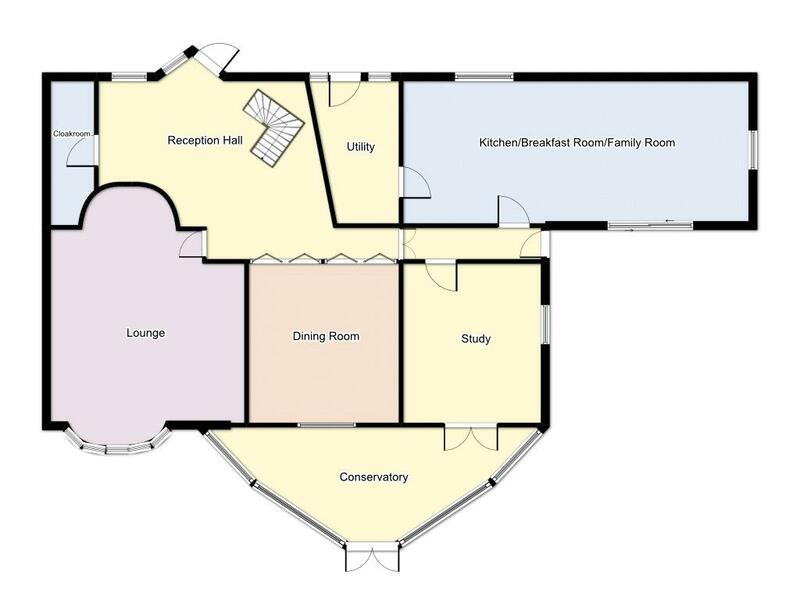 Two obscured windows, free standing bath, separate double shower cubicle, close coupled W.C, wash hand basin set in vanity unit, two windows and a dressing area with space for wardrobes and chest of drawers. 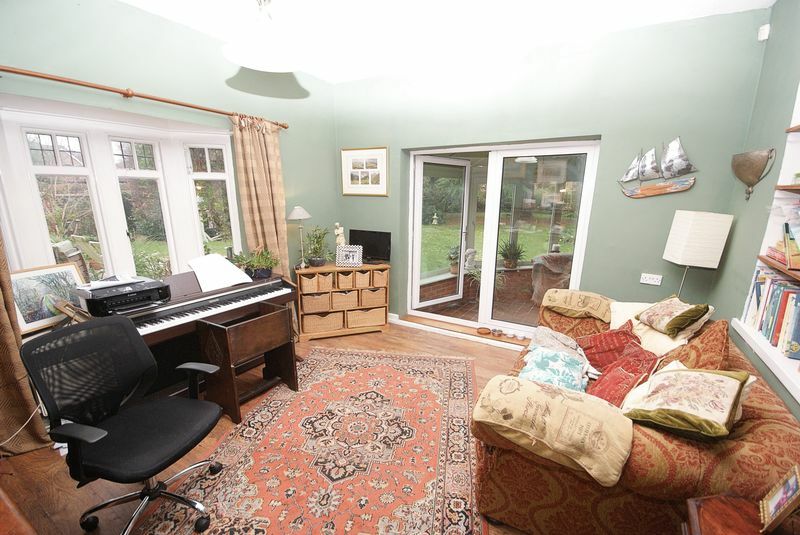 Dual aspect window to front elevation and UPVC double glazed window to side elevation, radiator. 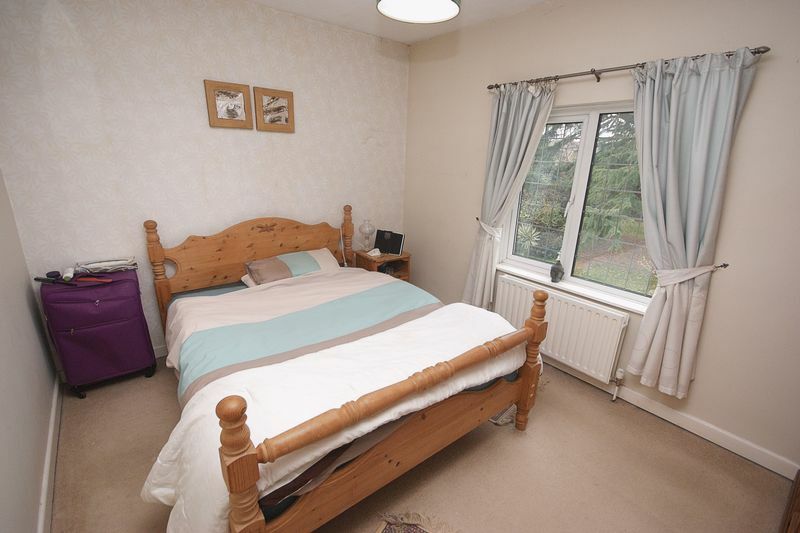 UPVC double glazed window to rear elevation, storage cupboard, radiator. Window to rear elevation, picture rail, radiator. 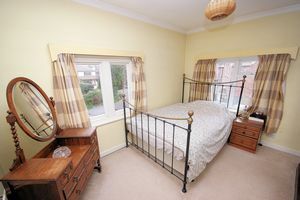 Window to front, range of fitted wardrobes. 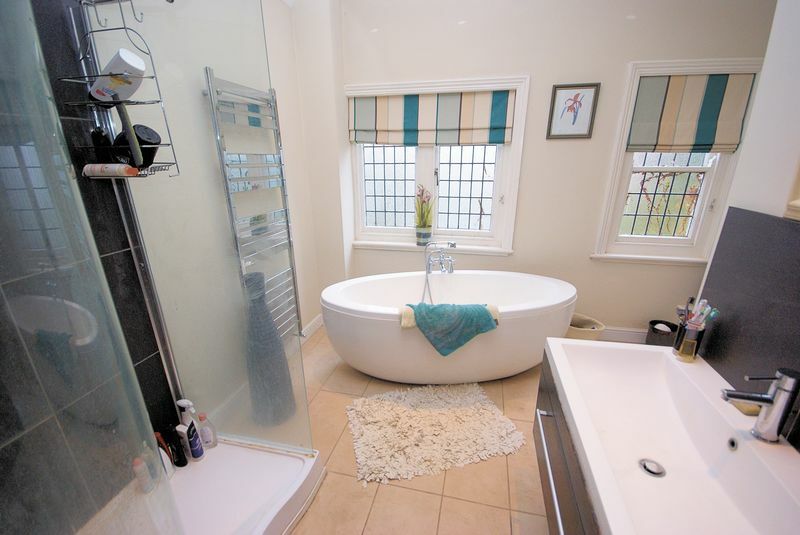 Double glazed obscured window, fitted with a panelled bath with mixer tap shower attachment, wash hand basin, set-in vanity unit, close coupled W.C, shower cubicle, tiled walls, wood effect flooring. 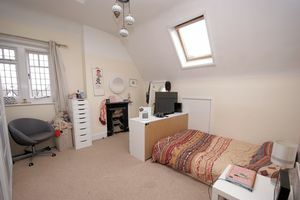 Window to side and additional Velux window, radiator, access to eaves storage. 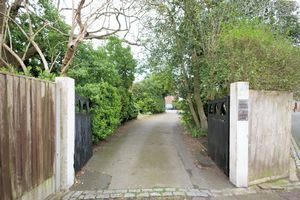 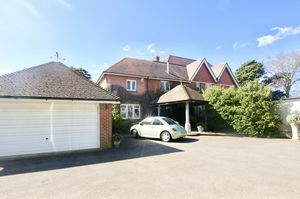 To the front of the property is off road parking and a detached double garage with remote controlled door. 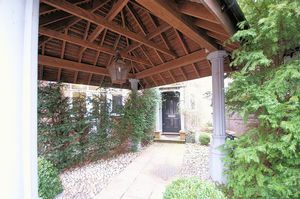 Covered walkway to front door surrounded by delightful shrubs and trees. The rear garden is extensive in our opinion, primarily laid to lawn with an array of mature shrubs and trees. There is a large patio ideal for alfresco dining, flower borders.